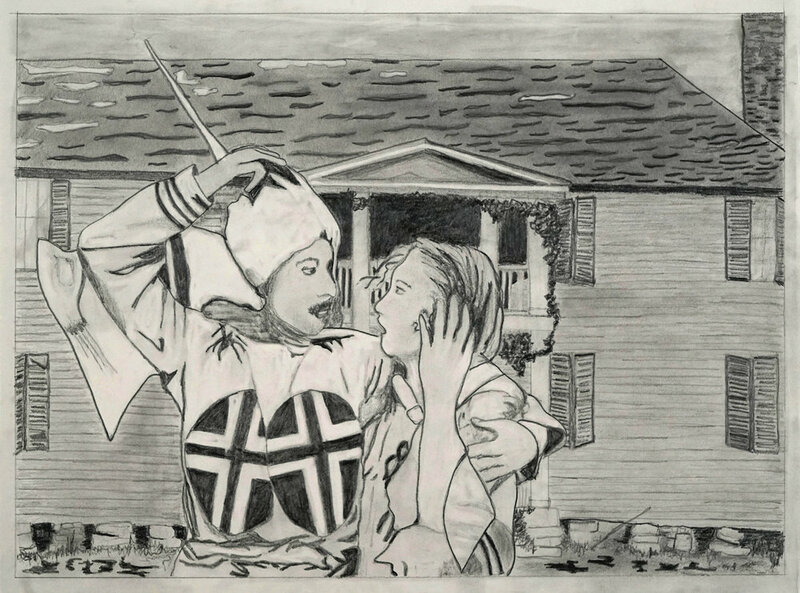 I work in multiple media to reexamine my coming of age, white in the Jim Crow South, and to use that developing understanding as a lens to view the racism and nativism in America today. My childhood, under the strong influence of a matriarchal grandmother, had one foot in the gloried and faded Southern past. I was unaware of the apartheid existence I lived and of its targeted suppression of African Americans. The stain of racism, the curse of the South, was my heritage. 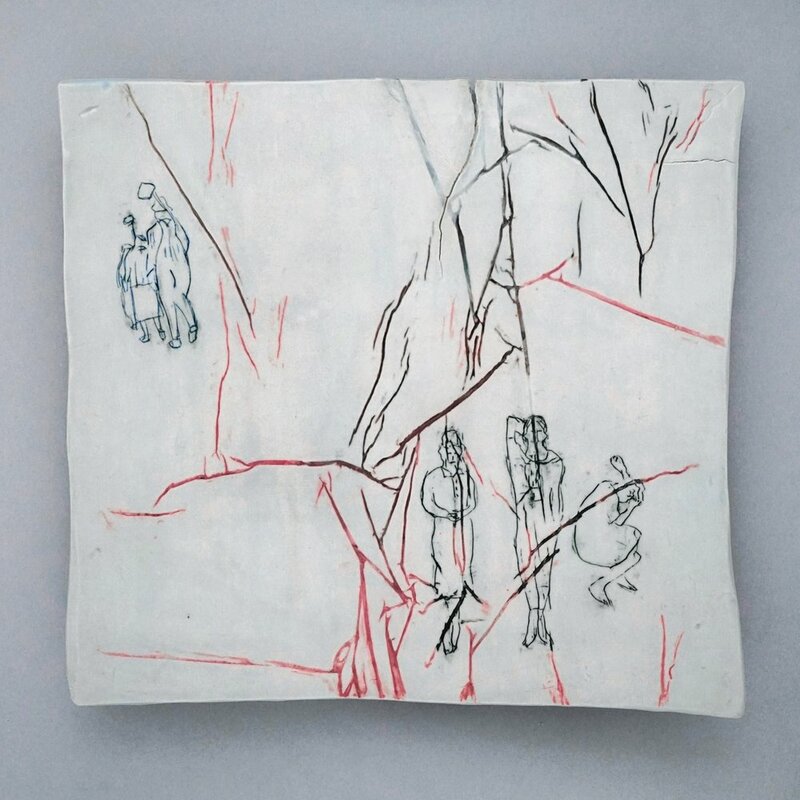 This series of work was begun in 2016 after visiting Alabama for the first time in many years. Nostos Algos, the pain of return, is the etymology of nostalgia. This is the journey I take through my art. My work builds on Michel Foucault’s concept of the materialization of memory. 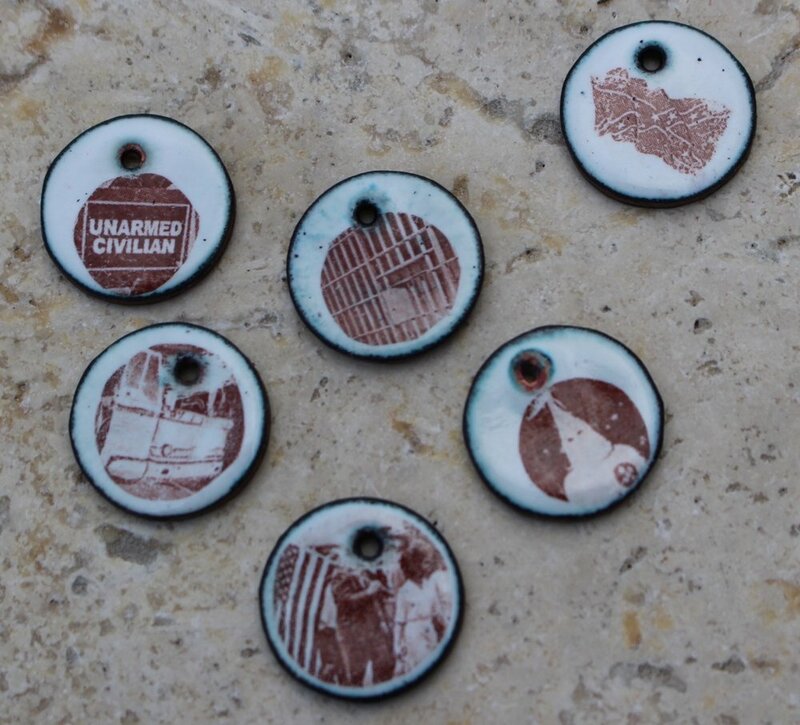 Memory is embedded in objects and materials. 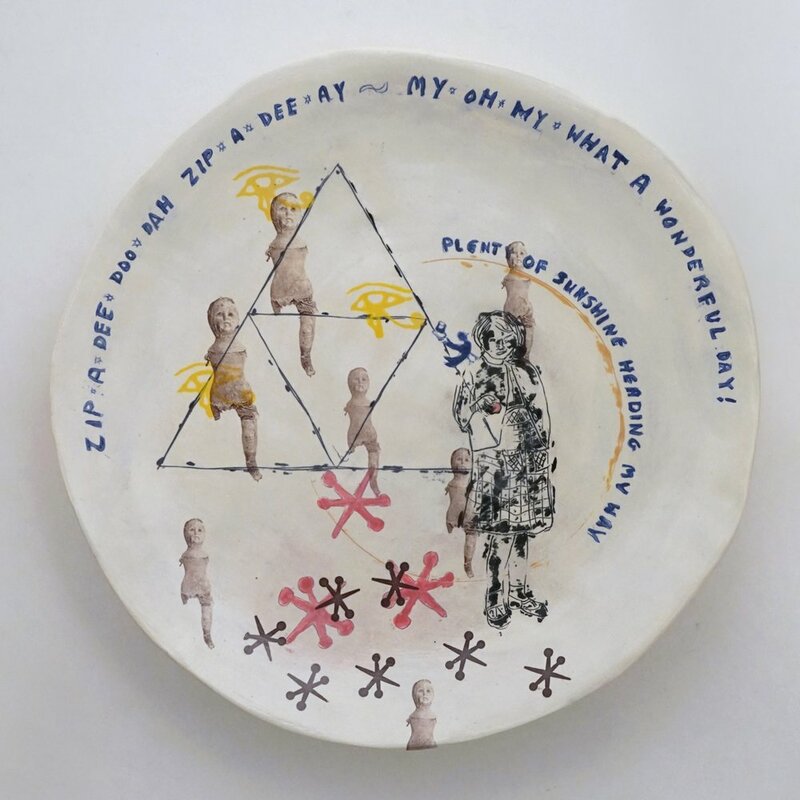 I bring together fragments of my own memory and post-memory from family history through photographic images on plates, found objects from my childhood, and objects I have made. 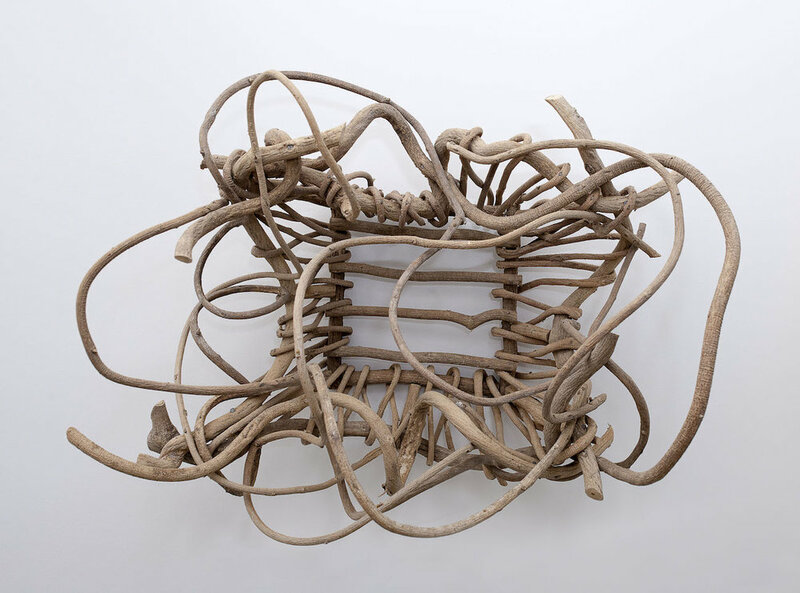 Although the narrative in my work is sometimes presented in a linear fashion, my conception of history is not linear and progressive. The racism and violence portrayed across the 20th and 21st centuries are equivalent. 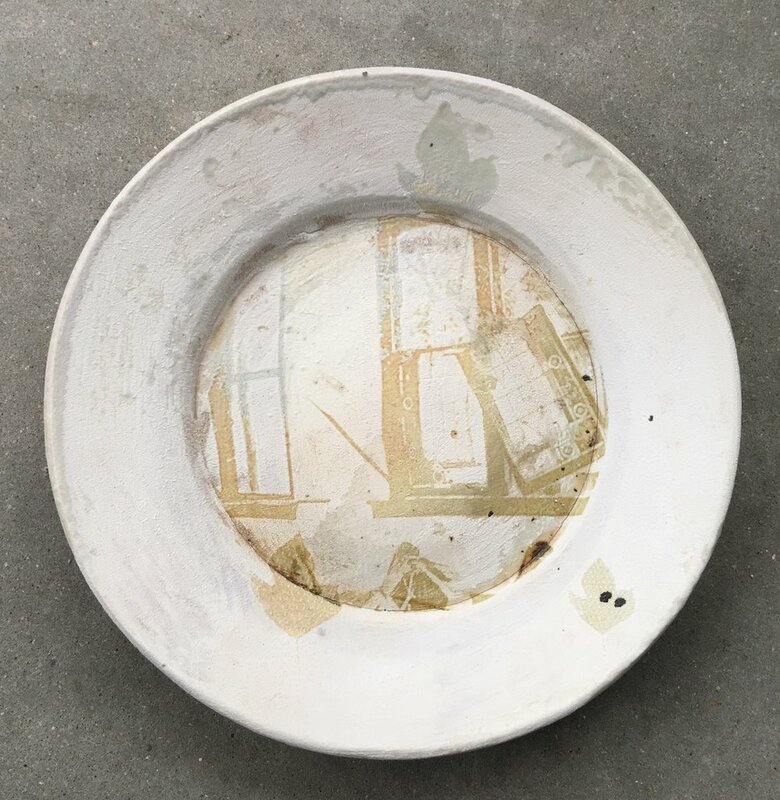 My selection of images and objects recontextualizes these elements of memory and creates a fictional, but personal, narrative. 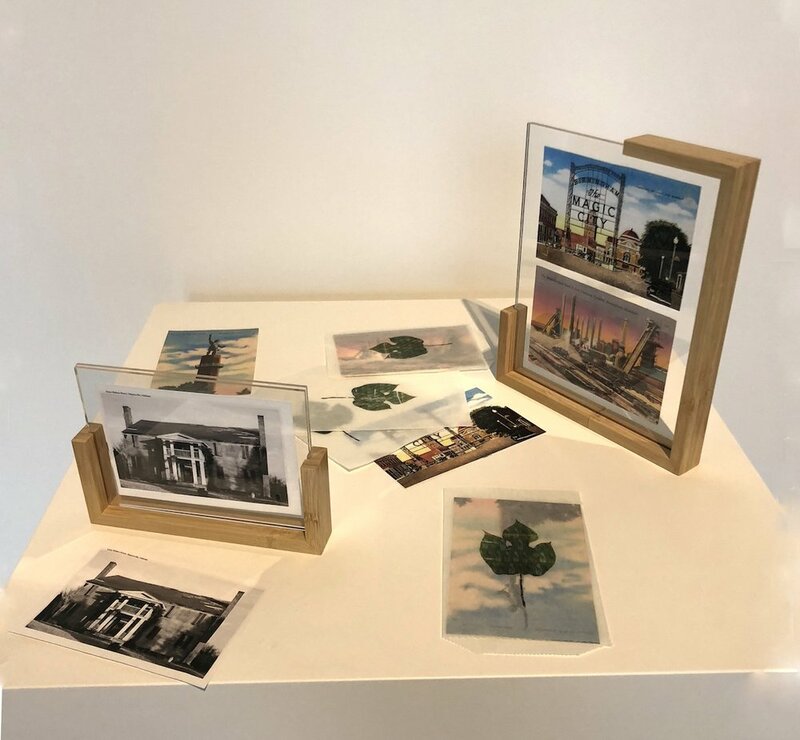 My specific experience and memories in this installation form a moment in which others can participate, caught in the forces of the everyday: family, nostalgia, suffocation, blindness, politics, racism, and violence. 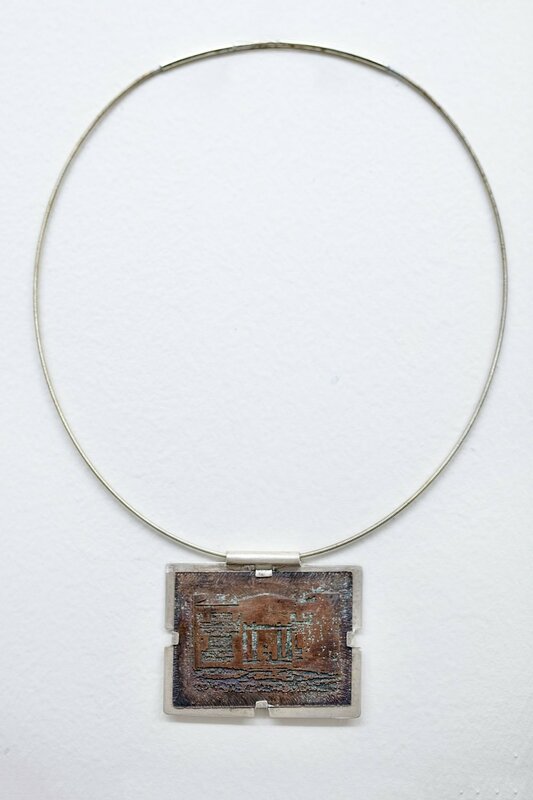 Each of my works has multiple meanings that are available to the viewer as her own experience deepens. Who would sit at this table? 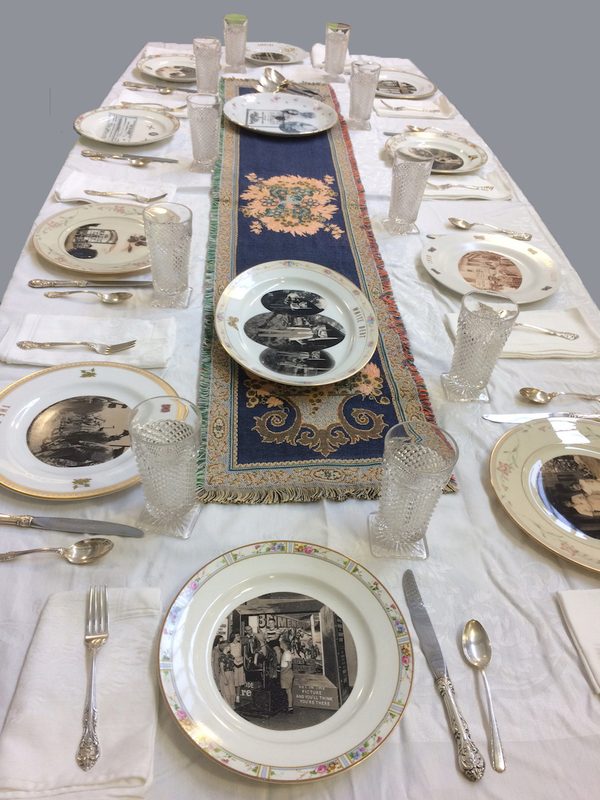 The table is set with my images in fine china, my grandmother's hobnail glasses, and King Edward silver. What does the table connote with its mixed messages? Who are the guests? 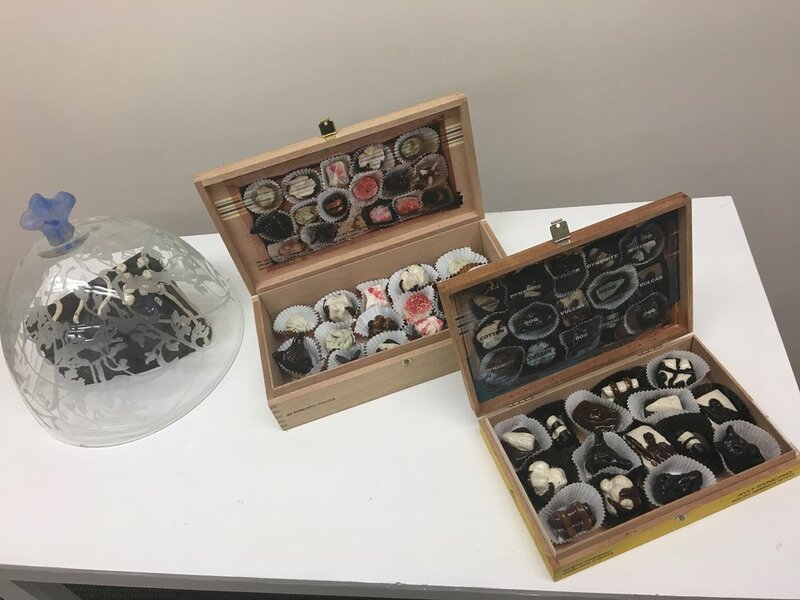 Two boxes of candy, the Southern Collection and the Jim Crow Collection, and a kudzu design etched dome covering a cracked cake slice. 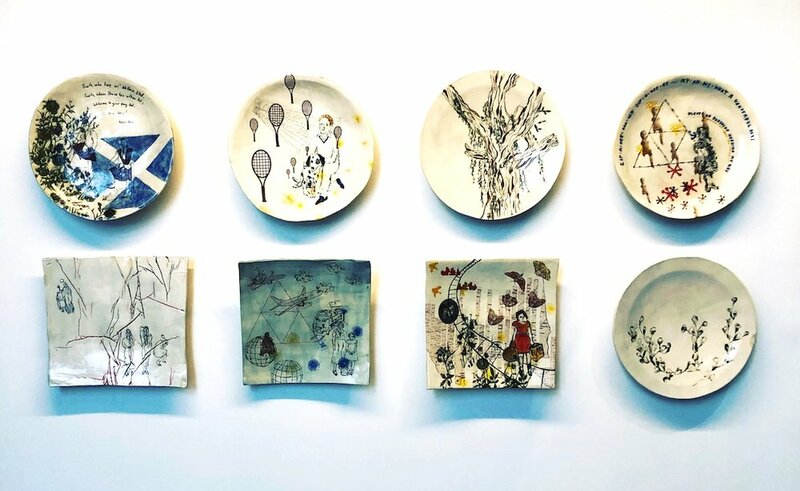 Glazed porcelain, kiln formed glass, decals and found objects. I experience decay and degradation as I think of abandoned family homes in the South. Installation view at Block XVIII exhibit. One can never return even when physically there. 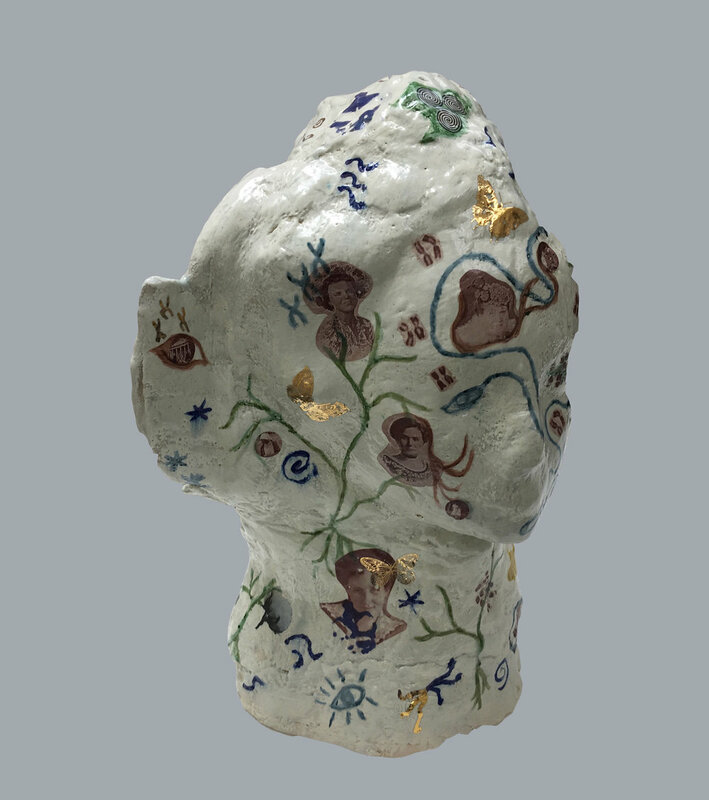 Ceramic head with images of my female ancestors, chromosomes, butterflies, kudzu, and other symbols, clay, glaze, decals, china paint . 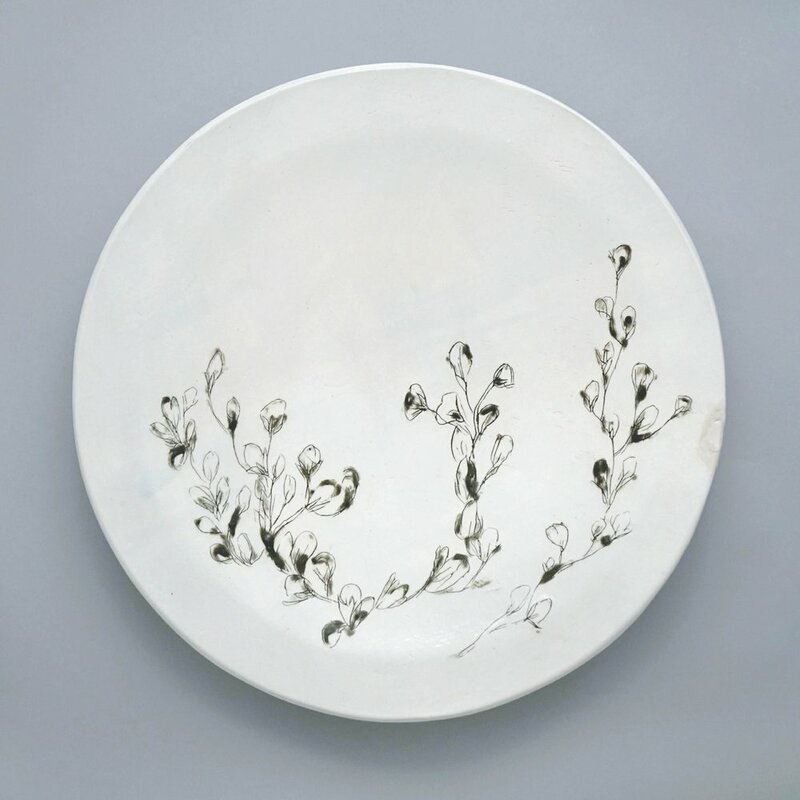 Blood lines, lineage, and life paths are all evoked in this porcelain platter. Growing up in the 50s. Southern girl pauses in a game of jacks unaware of the injustice around her. 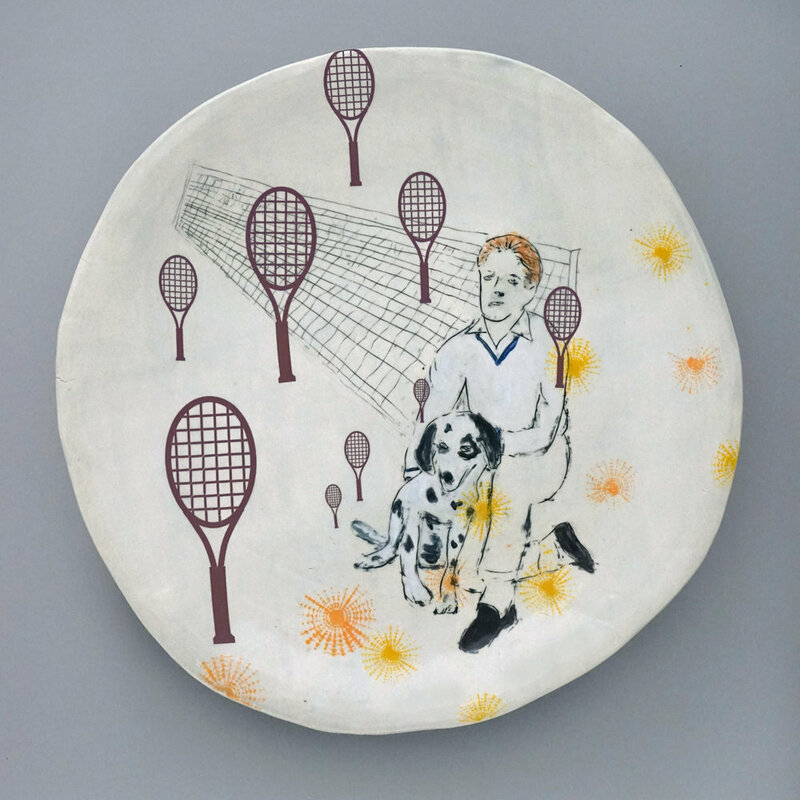 A series of binary choices await the girl in the porcelain platter. Tree in Harpersville that has been said (but not confirmed) to be the hanging tree. Object purchased at the Rural Heritage Center in Thomaston, Alabama. Made by Andrew McCall of Letohatcha, Alabama. My baptism in Logan's Creek and an archival images of a baptism at Gee's Bend, AL. Archival images of cotton workers in the '20s, Birmingham Police and demonstrators in 1964, and a 2015 cover of Time magazine. 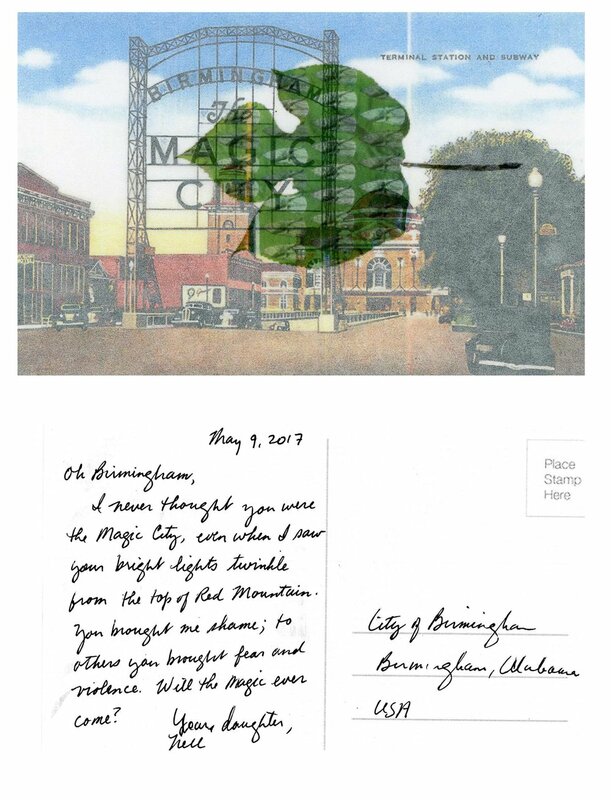 Images of hate across one diagonal and Jim Crow/Civil Rights across the other have kudzu leaf images across them. 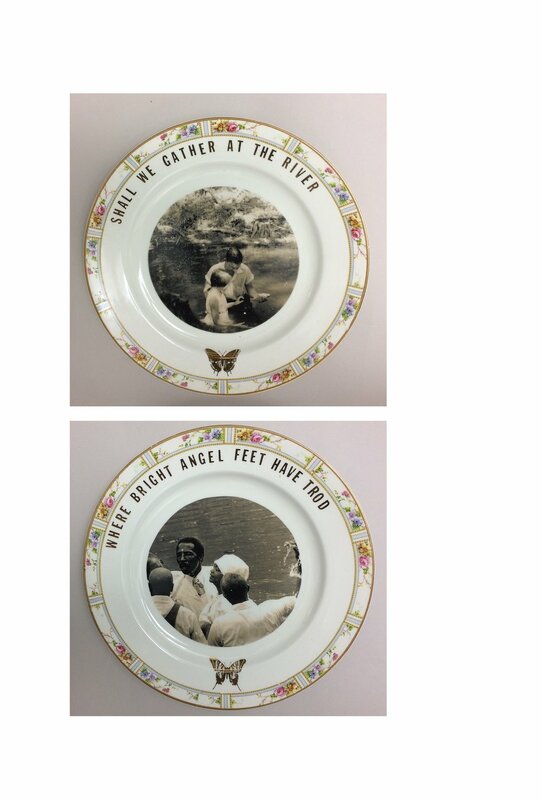 White personal and archival images on the front of plates (seen) and black images on the back (unseen). Two of my dolls from childhood. 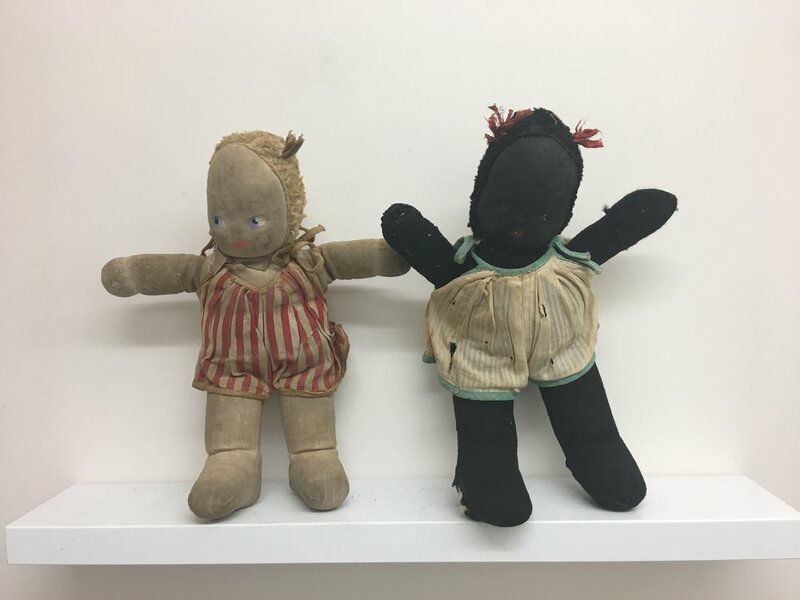 The white doll looks away while the black doll looks down. Lost innocence. Appropriation of Robert Indiana's Confederacy paintings. In Alabama, we were always thankful for Mississippi which kept us from being on the bottom of the barrell. 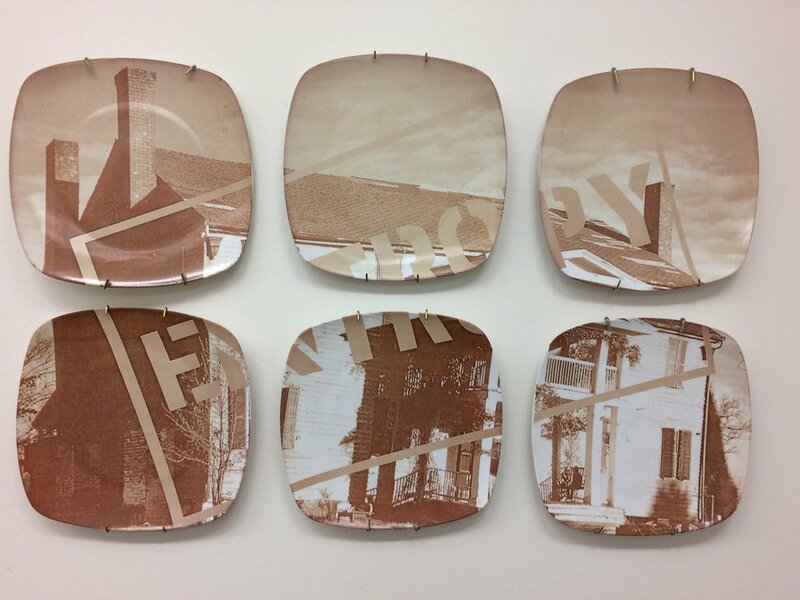 Archival image of 16th Street Baptist Church with kudzu leaf image, porcelain wood-fired. Installation view at Block XVIII exhibit. Postcards from archival images have messages I have written on the back. Copper etched with my family home is set in a simple silver setting. I feel the weight of it. 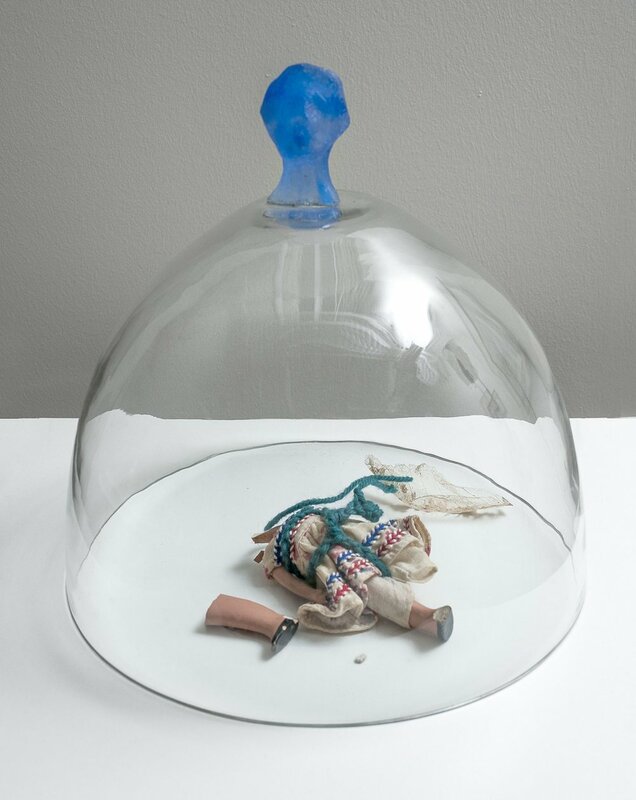 My broken childhood doll in a glass dome with a cast glass head as the knob. An imaged cup and saucer sits in a glass dome etched with vines with a cast glass knob. Henry Walthall, Col. Ben Cameron in Birth of a Nation, was a Wallace cousin whose early education was by my great-grandmother at Klein. Picking up our heritage while at play. Wallace family cemetery spanning the generations.